For a country that has never been renowned for its theoretical physicists or alchemists, Ireland has always had an affinity for the sweetest science of them all. An outrageously banal statement this may be, but for those born into a world of unending news cycles, they can be forgiven for their ignorance. Indeed, the sport could very well have made a case for itself as the “national game” - if that pointless debate ever raised its unwelcome head during Ireland's fistic heyday - while football and rugby, for all their popularity today, must have seemed antipodean, or at least “foreign”, in some parts of the country. Boxing, you see, has never been considered an import. Travel back, through the generations, and you’ll find countryside villages whirring to life, just to tune into the crackling murmurings of Noel Andrews describing the world heavyweight championship showdown. You don't rise at ungodly hours to huddle around a rather cumbersome Pye, to an event with neither local nor national interest, without some substantial degree of passion for what you're tuning in to. Alas, that sepia-tinted generation has long gone. Forgotten almost. And for a while, it was looking like the fervour for the sport had followed suit, resigned to memories and the history books. Yes, Ireland and pugilism go a long way back. That's why 25,000 spectators flocked to Croke Park to see an over-active Muhammad Ali fight, at a time when the world's greatest stars weren't so ubiquitous. The Irish funnelled through the turnstiles then, just as they did at Páirc Uí Chaoimh for the famous Collins/Eubank rematch of the 1990s. Draw up a list of the greatest Irish sporting moments and events involving Steve Collins, Barry McGuigan and Bernard Dunne are included without even the contemplation of debate. Had Jimmy McLarnin, Rinty Monaghan and a host of others been born later they, too, would have positions in that figurative cathedral of great Irish sporting memories, and not just the chapel for the erudite and nostalgic. It's this heritage that makes Irish boxing's precipitous downfall so pitiful. There hasn't so much been a gradual spiral towards irrelevance - but rather a harsh yanking of what was once a revered popular culture from mainstream coverage. Fortunately, we - or those who have the power to change things - have belatedly heard the portents and a regeneration - of sorts - could be upon us. 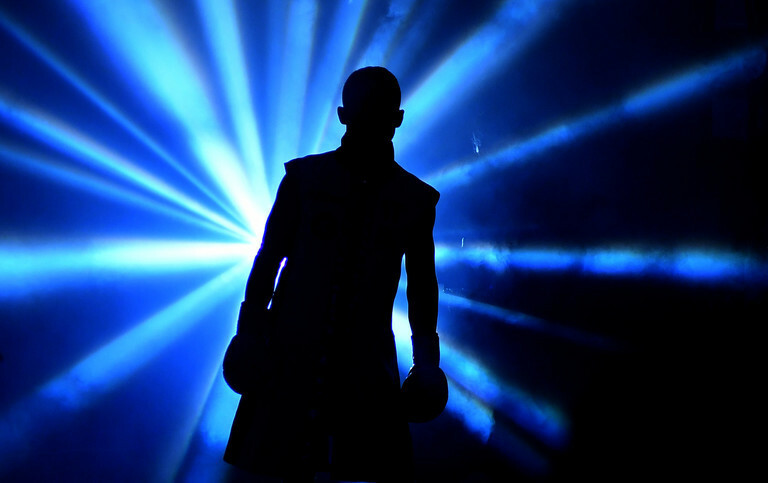 Boxing’s return to the spotlights, however, is still far from guaranteed. If the noble art is to return to its prosperous former glory after all, the public need stars in the flesh - not pixels. While Katie Taylor's exile is unlikely to end anytime soon - Brian Peters, the manager with a highly visible yet rather opaque role, claimed to be finished with shows in Ireland - all hope shouldn't lie on the shoulders of one athlete when an array of talent lies elsewhere, eager for the fanfare of an audience the Bray fighter, or even Michael Conlan, regularly receive. "Clash of the Titans", the recent National Stadium event headlined by Eric Donovan, may have got the fistic juices flushing through the veins again, giving a sense of hope, that the night may have been the catalyst for something bigger - a stepping stone towards a vibrant scene attracting more than just the usual die-hards. And therein lies the caveat: aiming for new audiences must be the ultimate objective in an industry that thrives on the cultivation of puff and hyperbole rather than mere skill and talent alone. These last few years of drought has risked too many boxers slipping through the sieve. MTK Global, by way of their media boycott, can be viewed as responsible for some of the shortcomings but not wholly, especially when genuine alternatives are at a premium. The reason for hope, however, isn't a result of the National Stadium event on its own. 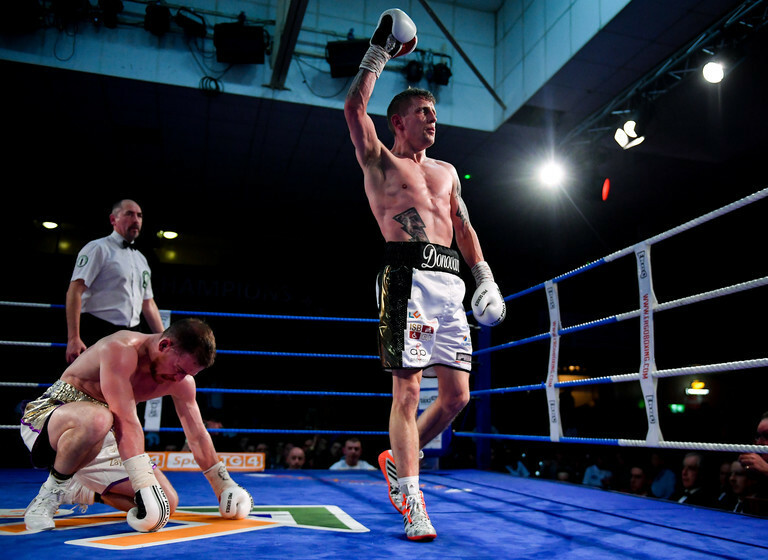 Ray Moylette's homecoming fight in Mayo last November can also be viewed as a leap - rather than a step - forward, and an indication of the lust for big nights in places outside traditional areas, as was the case when Paul McCloskey, Andy Lee and Henry Coyle among others fought in Letterkenny, Limerick and Castlebar during boxing's last golden age. Sooner rather than later, however, the biggest names in the country need to be seen fighting for worthwhile belts - and on home soil. The direction of the game, where money is speaking louder that it ever has before, means bringing these fights to Ireland would be nothing short of an mammoth achievement. But should that deter a local industry from aiming for what may seem like unattainable heights? Creating these nights, needless to say, would require a holistic approach which may require acts of charity from bigger names, ignoring the larger paycheck for the time being in order to sew the seeds for something greater down the line. When it comes to passion, all athletes can talk the talk. Are the prepared to make the most ultimate of statement? Is the sport a passion or a cash-generator? If it's the former, homeland bouts can be difficult to pass over. 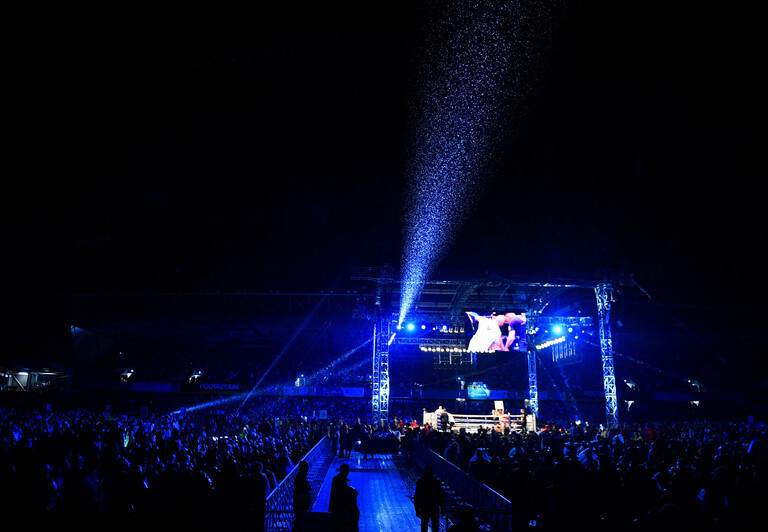 Atmospheres within Irish venues can be among some of the most positively feral and intoxicating in the world when Irish boxing is in its pomp and while money talks in other places, no place has the potential to offer as refreshing an alternative as Ireland. Provided, of course, the industry can deal with its Augean Stables. As merited as the criticism is, what has continued to happen in Belfast cannot be ignored, considering the manner in which the city has persisted through the barren years elsewhere. But that spark hasn't flared up outside the city's boundaries and certainly not south of the border. More visibility outside the city can only aid Belfast boxers in their own personal pursuits and, by the same token, the lively Belfast scene with Ryan Burnett and Carl Frampton - yet to perhaps acclaim the status of being household names throughout the island - in its ranks Belfast's bedrock of talent can boost a strengthening island-wide scene. Still, it's necessary to keep returning to the image of the sport, an image that has so obviously been damaged in the public's eye and avoiding the unavoidable questions only hinder a due development. Those questions cannot remain unanswered if we are to assume those with answers genuinely care about the game as a whole, and not just their own business interests. Wishful thinking it may be in the short-term, but the possibilities are boundless for a sport with the heritage and talent behind it other disciplines could only dream of. Spurning such a glorious opportunity, suffice to say, lets down an entire generation and more. The scope is there to move forward with positivity, giving boxers the chance to hold genuine ambitions and dreams without fear of derision. Of scoffs, or scorn.